As we enter the year 2017, the G.B. Group is proud to announce that we will be celebrating our 25th year in business. Since the business first started in 1992, The G.B. Group has served over 3,900 HOA’s, completed over 7,000 projects, and has had over 8,000 happy clients. And in addition to that we have been one of the longest standing general contractors that has been specializing in tenant-occupied construction since its inception. In this industry it is especially difficult to sustain for that amount of years, and only a handful of general contractors in the HOA industry have hit this gold milestone. So for the entire year of 2017 we will running our 25th anniversary marketing campaign to give tribute to the hard work and dedication this company has brought to the table year in and year out. With that said please help us celebrate this amazing milestone and keep an eye out for the G.B. 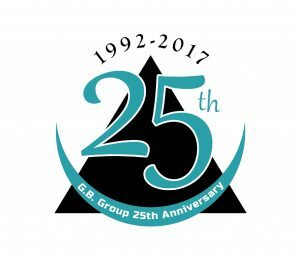 Group 25th Anniversary brand throughout the 2017 year. More to come so stay tuned!